Four people who took part in the violent MDC-Alliance “shutdown” early this month were on Friday jailed for a combined five years at the Mbare Magistrates’ Courts. 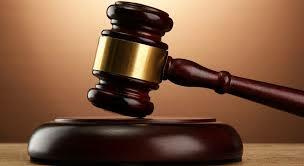 Johannes Sigauke (42) of Zone 1, Hopley Farm, was jailed for three years for stealing a solar battery and torching Southlea Park Police Station and two police vehicles while the other three were sentenced to two years apiece for impersonating members of the Zimbabwe National Army and assaulting a Harare businesswoman whom they tried to rob. Sigauke appeared before Mbare magistrate Mr Stanford Mambanje, who initially sentenced him to 60 months in jail term before suspending 12 months on condition of good behaviour. Sigauke pleaded not guilty, but was convicted after a full trial. In passing sentence, Mr Mambanje said the accused deserved a custodial sentence because he had committed a serious offence that endangered the safety of the general public and caused irreparable loss to the State. The court heard that on January 14 Sigauke and his accomplices, who are still at large, went to Mbudzi roundabout armed with logs and stones and barricaded the road with burning tyres and boulders.